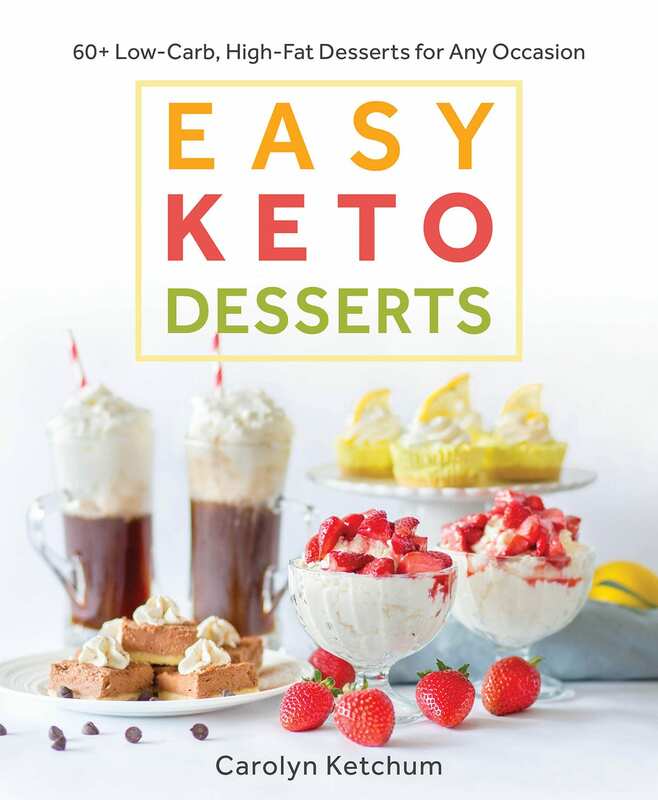 So one of the most popular recipes from my cookbook, The Everyday Ketogenic Kitchen, appears to be the low carb butter pecan cookies. I am going to go ahead and say “Well, d’uh!”. It’s absolutely no surprise to me that these unassuming little cookies are taking the keto world by storm. While they don’t look like much, they aren’t fancy, they don’t have frosting or sprinkles or beautiful drizzles of chocolate ganache, they pack a huge flavor punch. They are melt-in-your-mouth and make-you-swoon delicious. 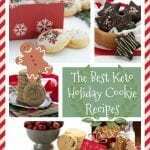 And they are the perfect low carb cookies for your keto holiday celebrations. 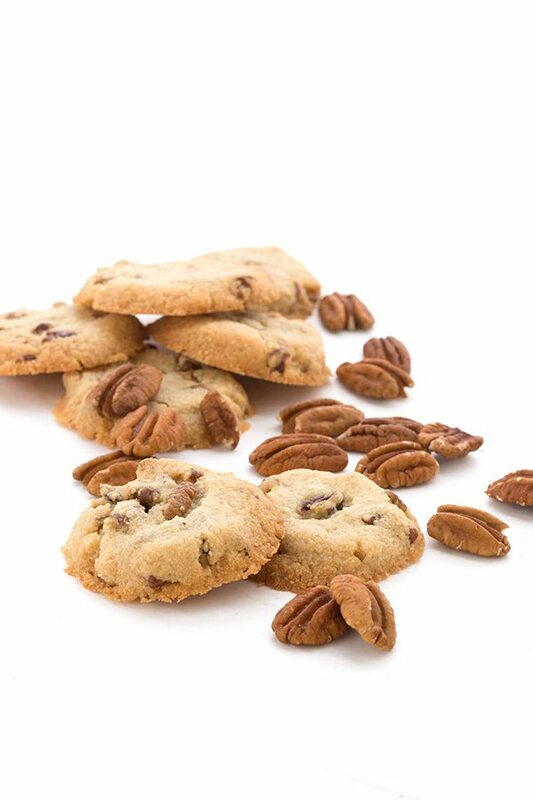 These keto cookies pretty much nail that same flavor and texture, with the added sweetness of toasted pecans. Oh my. I actually had a chance to make them on live TV here in Portland and the host was skeptical that they would taste as good as the “real thing”. But I think she was pleasantly surprised! Once we were off the air, she kept saying “wow, these really are good!” and asked me to leave some behind. The whole crew was hovering over me as I cleaned up after the shoot. I may have made some keto converts! Check out the Afternoon Live video here! Score one for healthy cookie recipes. In case you don’t own my cookbook (or rather, don’t own it YET…because you are going to buy it, aren’t you??? Right? Right??? ), I am sharing the recipe here too. I wouldn’t dream of going on and on about these cookies without sharing the recipe. And I really hope it encourages you to grab a copy. Or maybe ask for it for Christmas or your birthday. Because I know you will love these cookies…and all the rest of the recipes too! You posted it!!! I made these cookies to take with us on vacation in October and they are amazing! Probably honestly one of the best cookies I’ve ever had! And they are low carb which I love! These are number one on my list to make for Christmas this year. I will definitely be handing these out as gifts for family and friends. I’m getting your book for Christmas but wanted to make these before that. Yea! Now, I can make them to serve before the actual gifting begins. Leave on the counter for four days! No way they will lat that long in my house, can’t wait to try them!. Thanks! Looking forward to trying these, and just in time for Thanksgiving! Please tell your publisher to rush that next printing, my local book store (Annie Bloom’s here in PDX) can’t get it for me! ? Sorry auto correct got me again… I love reading and planning what to cook next. ? Got the book, made these tonight. Fantastic, I added Lily’s Chips. Chocolate never hurts. Would these come out ok if I would substitute coconut flour? No, this recipe is not made for coconut flour. What about honey instead of Swerve? Sorry but honey isn’t low carb AND your cookies would never crisp up properly. I just got your e book and I want to make every recipe. I’m starting with the cookies and I want to double the recipe. Do You think that you could freeze raw dough?. I love your blog and now that I changed to a keto life,your recipes are going to help me. I just did that myself. I have balls rolled for individual cookies and I froze them on a cookie sheet, and then I popped them in a bag to make cookies later. You won’t taste it but oat fiber should be okay too. Could I substitute THM baking blend for the almond and coconut flours? If so, what amount should I use? Thanks so much! I love your recipes! ? I have not tested this with THM baking blend. Sorry. The recipe states unsalted butter, would salted butter make a difference? Also how would THM baking blend go? I often use salted but I have a high tolerance for salt. I have not tested this recipe with baking blend. I made these yesterday and they are as good as any wheat/sugar cookie. Because I love chocolate, I did throw a handful of Lily’s sugar free dark chocolate chips into the batter and they turned out yummy. One thing that happened was after five minutes in the oven, when it was time to press down the cookies with the flat bottom glass, the cookies stuck to the bottom of the glass! I had to use a spatula to separate the cookie from the glass as I went along. I think I should let them cook another minute or two before pressing them down. (My first batch is all gone, but I’m making them again today for another social function). 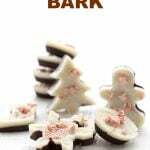 I left mine on the refrigerator overnight and I pressed them down with a spoon , I made them also with lilys dark chocolate and Brazilian nuts and the are so yummy,my boys love them and they have no clue that they are grain and sugar free. I have had that problem, too, and I figured out to use a small piece of parchment paper between my glass and the cookie when pressing. It worked super well! Stevia will not give these cookies the proper texture. Delicious! Loved them. However, in my mind these seem to scream for added Rum Extract. 🙂 If adding a 1/2 tsp of that, would anything else need to adjust for the aditional liquid? No adjustment would be necessary. I’d like to make a bunch of these cookies for Christmas. Can I make the dough ahead of time and put it in the freezer? I’m going to be so busy and want to be able to bake them as needed. Yes, I did that same thing. I went ahead and rolled it into balls and froze those on a cookie sheet and then put them in a bag for future baking. Hi Carolyn, I really need some help, because I must be doing something wrong. I am diabetic and find your blog a god send for my low carb high fat diet. I bought your book and was so looking forward to these cookies. However, when I followed your recipe I ended up with a bowl full of bread crumb consistency mixture that seemed very dry and no way were they going to roll into a ball, but I tried some of the mixture and managed to force them into a crumbly lump which after 5minutes in the oven, when I pressed with a glass disintegrated to a pile of bread crumbs again. I don’t understand what I am doing wrong. By adding as much butter again to the rest of the mixture I just about managed to get it to hold together, but things are clearly not right. I need to check if my ingredients obtainable here in the UK are suitable and the measures I use are right? I used a converter which say that half a cup of butter is 114g. I use granulated erythritol as it says in your book. (mine has a tsp of pure stevia powder to a cupful of erythritol. The only fine blanched almond flour I can get is Real Food Source certified organic Extra Fine Almond flour. I have proper USA style cup and spoon measures by which 1 cup is about 240ml. Hope you can suggest something, please? Yup, things are clearly not right. Sounds like your butter amount was fine. I looked up your almond flour and that seems to be about the right thing too. What about the coconut flour? I have made this recipe probably 8 times now…and as you can see in the video, it holds together. Not sure what the issue is for you. I used the cup measures (1¾) for the Almond flour and spoon measures 2tbs for the coconut flour. I didn’t soften the butter but I see it says you should in the book. I used a food processor rather than a food mixer. By doubling the butter I have managed to get it to hold together and is in the oven now. I’ve not looked at the video so will do now. Well, I think not softening the butter is a huge issue, actually. Please make the recipe as written. It’s not meant to be done with cold butter, nor is it meant to be done in a food processor. The recipe doesn’t actually say ‘softened’ butter. Some might not assume it needs to be? Thanks, I will changed that. But it does need to be beaten…hard to do with non-softened butter! I used the cup measures (1¾) for the Almond flour and spoon measures 2tbs for the coconut flour. I didn’t soften the butter but I see it says you should in the book. I used a food processor rather than a food mixer. By doubling the butter I have managed to get it to hold together and is in the oven now. I’ve just looked at the video and it certainly has not looked like that. I wonder if my makes of flours are too fine and too dry? The coconut flour is Groovy Food Company Organic coconut flour. A food processor will not cream the butter and erythitol. Only a mixer will do that. Bang on, Barbara. When you blend in cold butter, you are going to get sand. Which is fine for a crust you press into a ban, but not for a cookie. Add a few tbsp water until the dough holds together. Could be a difference in brand of coconut flour. But for the most part, they should be made as written, in a mixer. Did you happen to weigh the almond flour and coconut flour? Here’s a thought: In watching a couple different British baking shows, the size of the Brit tablespoon is much larger than the American. I wonder if that’s what has happened to you as well. I just googled it, and there is a difference between the two, so you’re effectively adding more coconut flour than called for, which would definitely make the dough too dry. I used softened butter as well, but got bread crumbs. I increased the butter by half, but they don’t look much like the dough or cookies pictured here. Am I missing an egg or something? Nope, no missing egg. Something went wrong on your end because as you can see from the comments, these work for most people. Any chance you mismeasured the coconut flour? I have never toasted nuts before. Would you please tell me how you do it? You can do it in an oven at 350F for 5 to 10 minutes or in a hot skillet. Thanks that could explain it. I followed the online recipe not realising it was slightly different from the book. I still think my flour must be drier that that you use. With double the butter they came out very well. Thanks.for your advice. So delicious! Made them this morning and took them to a church gathering. The toasted pecans make all the difference. Thank you Carolyn. 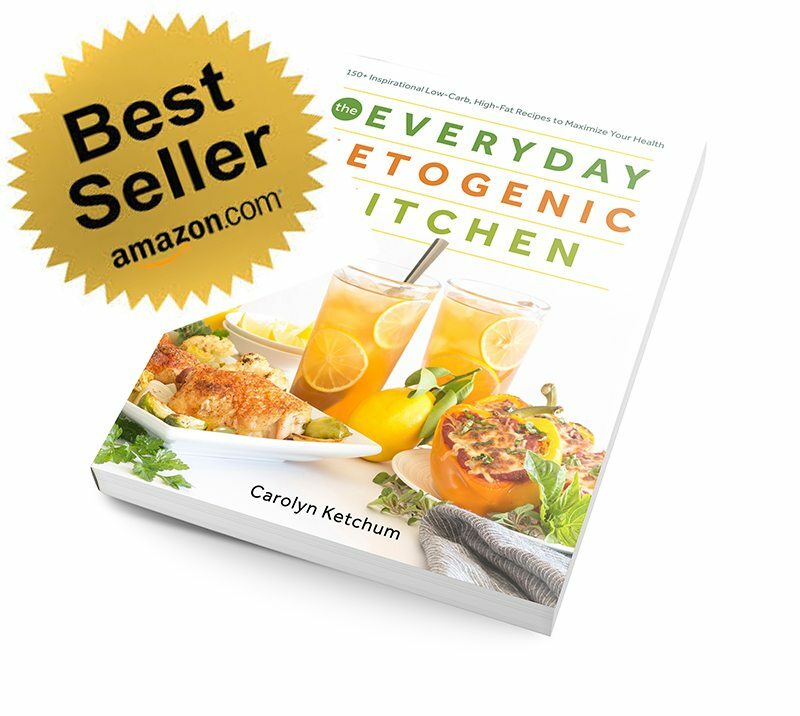 Hi Carolyn…love your recipes! Are eggs not needed in this recipe? WOW! I made a double batch of these on Friday night and I can’t stop eating them! They get better with time because they get crunchier each day. Good thing I’m at work today and not hanging out in my kitchen! Thank you for the recipe! Love them! My favorite cookie recipe. Yum!! Wow, these are fantastic. I just made them using ground xylitol instead of Swerve (not a fan). They are very, very good. I couldn’t wait until they cooled, had to have one right away. Soft and chewey. Thank you for sharing this unbelievably easy recipe. These are the best low carb cookies I have tried. Afternoon snack with a cup of tea the best!! Just made these for the second time in one week. So good!!! Topped the second batch with powdered swerve. Tastes just like the Mexican tea cake cookies I used to make. You’re counting the erythritol…which doesn’t enter the blood stream and thus has zero carb impact. Please read up on erythritol. O my goodness are these good! I am thinking I’ll try them with some almond extract and pine nuts instead of the pecans like these cookies we used to get at the Italian bakery. Thank you for yet another amazing recipe! Not sure that would work as well in these cookies but you’re welcome to try. Wow, my husband loves pecan cookies! Gonna try these today, will report back… Thanks for all the great recipes. I am so going to add your cookbook to my Christmas wishlist. Could I substitute coconut oil for the butter and in the same amount? I am really not sure. It’s worth a try! Thanks! I’ll give it a try this weekend. Would it be ok to use THM gentle sweet? Or I have THM Erythritol. Yes, you can use either but remember the Gentle Sweet is sweeter than Swerve. These are my absolute favorite cookie! The pecans and butter – oh my! Always a holiday fave. This is one of my favorite all time cookies! I love these cookies. Thank so much for the recipe. These cookies are delicious. Thank you for sharing. I was worried about holiday bakong since I am not experienced with low carb treats but this recipe was easy to prepare and the ingredients very easy to find. 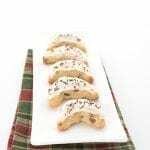 They womere a big hit at the holiday party and I feel confident and comfortable to try more lc cookie recipes. Thank you so much for helping people male betyer choices even when it comes to treats! I don’t know who is trying to lowball your ratings, but that is a nasty trick. These cookies are *incredible*! Amazing flavor and texture. These cookies are divine. I’ve made them for me and my sister numerous times and they always come out perfect. My sister is dairy free, so I make hers with ghee. So quick and easy to make! The perfect treat for me on a keto diet. I made these to give to my husband for our anniversary. He absolutely loved them, said they were the best ‘gluten free’ cookies he’s ever had! Win! They were so easy to make and so flavorful! Getting ready to make another batch!! Oh my, these are to die for. 5 stars for sure! Dear Moderator: I gave it 5 stars, but only 3 stars were yellow after I hit submit? It not a 5 star rating, please let me know how to correct it bkz, so good. These cookies are so delicious! I can’t wait to make more for Christmas. ? OMG these are so good. Made them for Thanksgiving. Hit with even the people not eating low carb. Love you and all of your recipes! The secret is simply that some people don’t experience that cooling sensation with Swerve. I don’t. It’s the only erythritol based sweetener I don’t get it from. You can mix sweeteners and that can help reduce it. 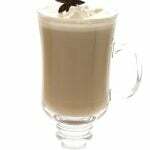 For example in this recipe, you could do 1/4 cup Swerve and 1/4 tsp liquid stevia extract. Hi Paula and Carolyn. By cool down do you mean they taste different once cooled off or next day. I loved these out of the oven and the first day, but the next day they were so much sweeter and different tasting…is this what you mean and by chance did you test out the suggestion made by Carolyn?Thanks -it seemed the swerve became really distinct to me. Reporting back as promised. The good news is these cookies are very good indeed. My husband liked them so much he had two, kind of unusual for him because he’s not into sweets. The bad news is I think the sweetener gave him diarrhea. I know that Swerve is supposed to be a lot better than most alternative sweeteners about that, so no reflection on the recipe. My husband just reacts in unusual ways to some substances. 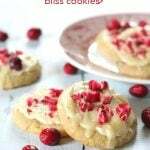 I loved how easy the recipe is though and because it’s not strictly necessary for us to be sugar free I think I’m going to try again using regular sugar. Do you think that would work? Thanks again for all your hard work. It should work fine with sugar too. 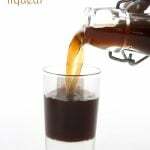 Or if you want to cut back on sugar, use 1/4 cup sugar and then maybe 1/4 tsp liquid stevia extract. I’m not sure if anyone will see this, but I successfully used Truvia sweetener in this recipe. Because it is a mixture of erythritol and stevia (and twice as sweet) I used 1/4 cup instead of the 1/2 cup of Swerve. Perhaps that might be easier in your husband’s stomach? In any case, this is my new all-time favourite cookie. 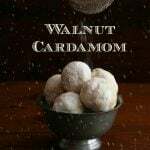 My second all-time favourite cookie is Carolyn’s cardamom snowballs. I’m not sure what swerve is exactly but I have the baking granulated Splenda can I use that in place of the swerve and would I have to adjust the amount at all? I have not tested this recipe with Splenda so I can’t say for sure. Swerve measures like sugar in terms of sweetness. Made these today and will be making again. They are really tasty. I think I mistakenly added 1 too many tbsp if coconut flour…was distracted by a small emergency and didn’t remember if I had added 1 or 2 when I got back to cookie making so I added 1 more. With how they came out ( a touch too dry) I think they may have ended up with 3 tbsp…ooopps. I switched out the Swerve for Splenda as I do not like the taste of Swerve at all. Could also be the Splenda making them drier and more crumbly. I only have powdered swerve, will that make any difference? It may a little but I think it should work. 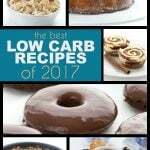 Your cookbook is on my Christmas list and I ordered another for a keto daughter. I was just wondering if I could make these without pecans and bake in a shortbread pan as classic shortbread? Hi Pam. yes, you can bake them that way. Not sure of the baking time, though, so watch them carefully! I would like to swap the almond flour for pecan flour. Do you think this will work? You simply can’t get pecan flour fine enough to make a really good fine shortbread cookie like this. Just made the cookies for the first time and they taste delicious, however they fall apart. Would adding an egg make a difference? Don’t add an egg, these are supposed to be shortbread like. Not sure why they are falling apart…did you cream the butter? What brand of almond flour and coconut flour? These are DELICIOUS! Better than I expected…my new favorite! I like to put a heaping tablespoon of no-sugar Butter Pecan Ice Cream (Enlightened or Halo Top) on top, and savour it as long as I can make it last (which isn’t very long…). I sprinkle it with Real Salt, too, because it tastes like salted caramel to me. My only regret is waiting two months to make the recipe when I already had your cookbook. =) Thanks again, Carolyn! Another winner! Carolyn, I’m gonna make these next weekend! Please tell me the reason and purpose for the coconut flour? 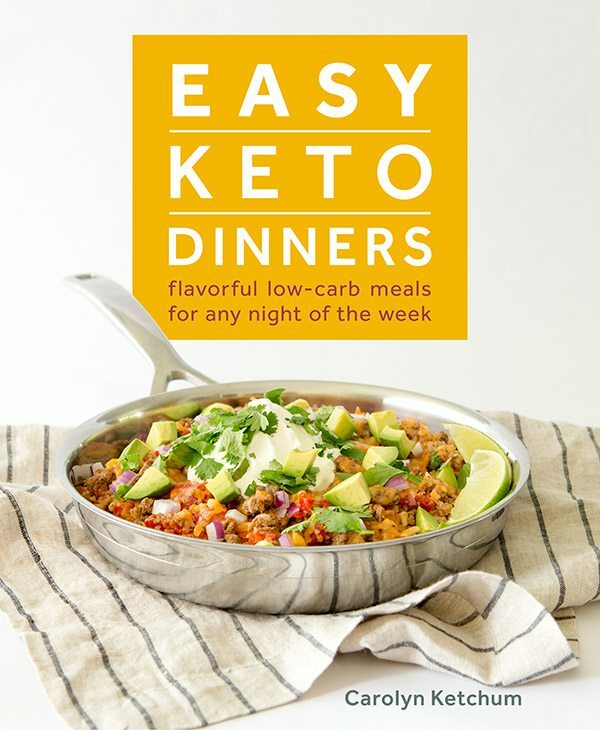 I’m a total newbie to Keto cooking and am very curious what just 2Tbs does for the recipe. It gives it the right texture. Without it, the cookies spread too much. In my pre-keto days one of my favorite cookies was a Pecan Cocoa Nib Shortbread recipe by Alice Medrich. I added 1/2 cup of cocoa nibs to Carolyn’s already delicious recipe here, and baked ’em a bit longer to get them really browned (I know shortbread is supposed to be pale but we like these fully browned). I also found that I can place a piece of plastic wrap over the dough balls and flatten them before putting them in the oven, eliminating the need to remove them from the oven after 5 minutes to flatten. The plastic wrap prevents the dough from sticking to whatever is being used to flatten it. 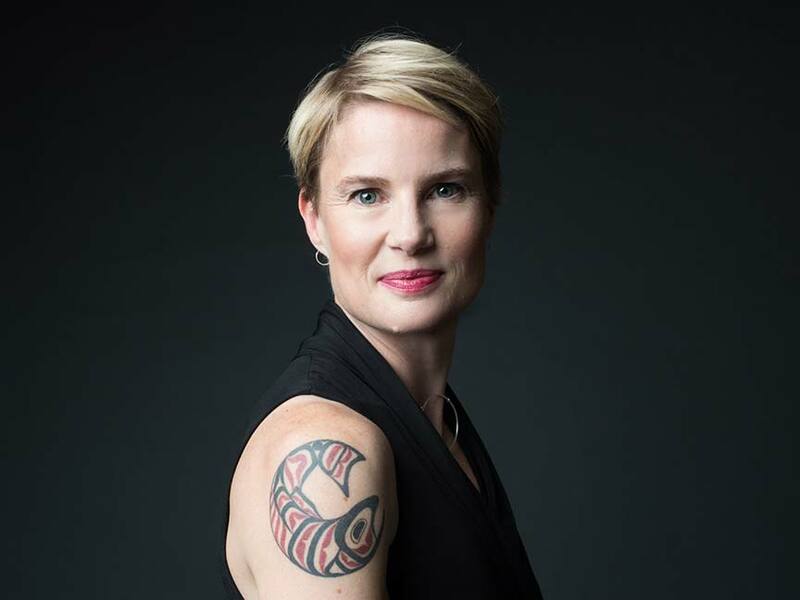 Carolyn, you are the best! 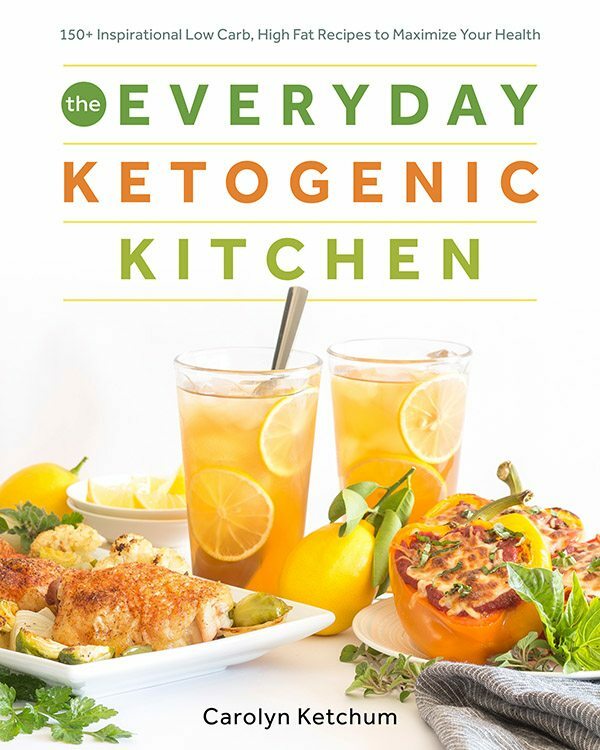 Your Everyday Ketogenic Kitchen book lives on my kitchen counter and I wait eagerly for your next books. Thank you, and bless you, for sharing your talents. Oops! I added 1/4 cup of cocoa nibs; not 1/2 cup. Can’t edit my precious post. How long does it typically take to get there? These cookies have no eggs so they don’t go bad quickly but it’s always good to refrigerate almond flour. Thank you so much for getting back to me ! I added an egg as it didn’t seem like the mixture would hold together. The cookies came out perfect. I used a fork dipped in cold water to press them down. These cookies turned out perfect!! Oh how I have missed that shortbread, melt in your mouth pecan-y taste! And the flavor was delicious! At 1.1 net carb per cookie this will now be my go-to-cookie when I’m craving a sweet treat! Thank you so much for sharing and I can’t wait to try some more of your recipes! I really loved the taste of it and the smell while baking was divine, nevertheless, after hours they are still very soft. I was expecting something a bit crunchier. Is it how they are supposed to be or did I do something wrong? Maybe next time cut down on butter or use a bit more coconut flour??? Any ideas??? Thank you for the recipe!! It has to either be your ingredients (what kind of almond flour?) or you live in a humid area because these are like shortbread. Tender but with a bit of crunch, not soft. We love these cookies My hubby especially requests these all the time! Double batch every week. Family favorite, never gets tired of them. These cookies are delicious and so versatile. Good with Lily’s chocolate chips, too! These cookies are awesome! They are so easy to make and absolutely delicious! I took these to a function where everyone brought a snack to share. These were declared the best thing on the snack table and were gobbled up by all the people that don’t follow a Keto diet. Make these! You won’t regret it. I’m not a baker, these are fantastic! Brought back memories of my Dad’s favorite cookie, pecan sandies. Hubby only likes soft cookies, so more for me! I’ve never had a bad experience with Carolyn’s recipes. These are delicious. Made these cookies for work. Everyone loved them. A non Keto co-worker even asked me to make these for her for her birthday. Yum-azing! Beautiful flavor and texture. One of the best, if not the best, low carb cookies. When I first started eating a low carb diet it was hard. I have a huge sweet tooth. Thankfully I found alldayidreamaboutfood.com. Carolyn has helped me be successful in changing my diet. 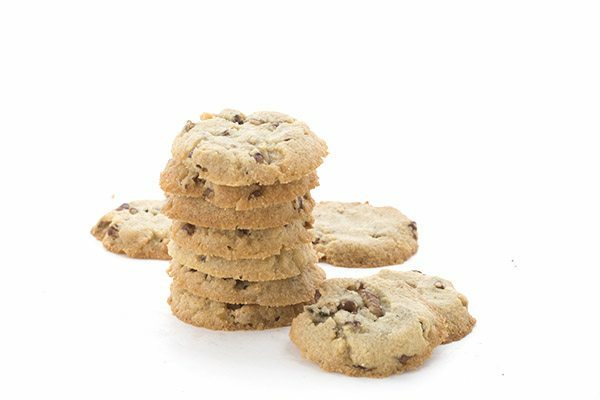 As with most of her recipes you will not feel deprived eating these low carb cookies. They are delicious. They are quick and easy to make, I’ve added sugar-free chocolate chips to change it up. 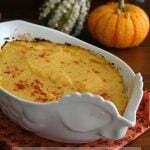 You can’t go wrong with this recipe even my family members that think they don’t like keto recipes like this recipe. I love this recipe so much. Thank you for everything that you do. Easy to make. Few ingredients. Absolutely delicious. These are melt-in-mouth deliciousness!! I keep a frozen stash so I never run out!! Buy Carolyn’s Cookbooks because she is a very talented recipe developer. She has helped me to lose over 100 lbs in the past year and I did not “suffer” from having to eat the same old boring foods. Tried these last week and they are great! Thank you for all of your great recipes! This is my go to recipe for cookies. I make them chocolate chip by substituting choc chips for pecans, almond by substituting slivered almonds and a few drop of almond extract/essence, and choc chip and pecan (50/50). I’m going to try substituting cocoa powder for a tbsp of grounds almonds to see if I can make something like an afghan biscuit… it’s actually a 10 star cookie, not just 5-star! 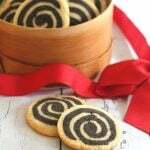 This is a great, versitle cookie recipe! As is its fabulous. But its also great with chocolate chips. Pistachios or cocao nibs! My favorite LC cookie, and have made them many times and they freeze very well. I have even used the crumbs as base for a cheesecake. Yummy! Hands down the Best cookie. So easy and quick to make. I have the recipe memorized. I Love this cookie , such a buttery melt in your mouth heaven ! These def did not turn out like the picture. Followed the recipe exactly and the “dough” was like dust. When I tried flattening after 5 min it all crumbled apart. Well something went wrong on your end, then, because as you can see, this is a much loved recipe and turns out well for most people. Is there any chance you used coconut flour instead of almond flour? Or perhaps you used almond meal? Thanks for this amazing recipe. The best keto cookie I have tried. Unfortunately, it did not last 4 days. My family loved it. The cookies look great! I also love the blue and white “Woodland” cup and saucer. I have a huge set of that Wood & Sons English underglazed dishes, which I bought in the 1970s. It has teapots, serving trays, etc. We are still using the dishes. It was a surprise to see the cup with a recipe. I purchased that at a local antique store. I love it too! These were easy to make and turned out perfectly. I used Xylitol as this was what I had on hand….found the cookies to be on the sweeter side. Next time I will reduce the sweetener to 1/3 cup. I let the cookies cool before moving them off the baking tray and they did not crumble. 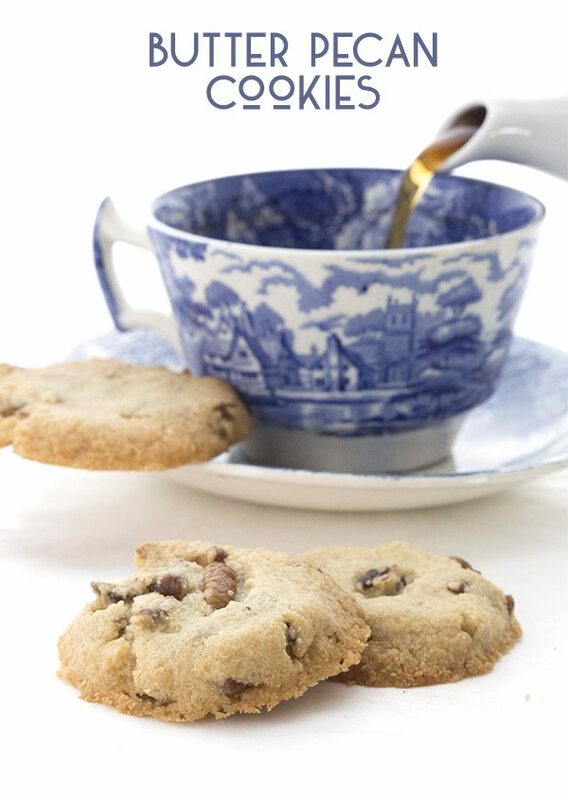 These cookies are perfect for when a sweet treat is needed! These are delicious! I added just a smidge of ground cinnamon. A very yummy fall treat. Just made these scrumptious cookies, put my macros in, according to carb manager 2 cookies are 14 total/8 net carbs!! No you’re not. Are you counting the erythritol? You shouldn’t as it has zero impact on most people’s blood sugar. As someone who tests her sugar daily, I can assure you that it’s correct. These were delicious. They taste like shortbread. I didn’t use unsalted butter so there was just a faint hint of saltiness, but definitely not off-putting. The next time – and there will definitely be a next time – I will use unsalted. Then I think they will taste more like pecan candies. I did take one procedural liberty partly because I am impatient and have lazy tendencies, but it didn’t matter to the end result as far as I can tell. I took my batter directly from bowl to oven without rolling it into a log or chilling. Instead of baking for 5 minutes, mashing them, baking and mashing again, I placed them on the baking sheet, pressed them down and baked for 11 minutes. They turned out just like the photo. Thanks Carolyn. Love your recipes! Yep! Try adding a bit of orange zest too. Totally delicious! Yes but you need to add about another 6 tbsp of almond flour. These are NOT low carb!!! Delicious, but misleading therefore I am rating this as the lowest rating so people may be warned. I should have plugged into Carb Manager before spending money on ingredients before making them. My bad for not doing so.. your bad for advertising as LOw carb. Excuse me but you are incorrect. Erythritol has carbs but they should be entirely subtracted as they do not affect blood sugar. I test my blood sugar every day it absolutely holds true for me. I also test my ketones and eating treats like this does not kick me out of ketosis. Your bad, indeed… for not realizing that “Carb Manager” is not a good way to calculate carbs and for not checking to see if you made an error. By the way, I also have a very clear nutritional disclaimer which states this at the end of every blog post. Therefore I am not at all being misleading as I disclose ALL of this information up front every time. These are the best Low carb cookie thus far. I have been trying out many recipes lately and this is so good! I added two tablespoons of flax meal to the vanilla and let it sit while I was getting everything else ready. It even lowered the carb count more! Thank you! Also, they freeze well. For the record, adding flax meal (or other fiber sources) to something does not lower the carb count. This is logically and scientifically impossible. Fiber is a carbohydrate. If you’re adding fiber grams, you’re also adding total carb grams. According to a nutrition label I found online, 2 T flax is 4 total carbs and 3 fiber; therefore this adds 1 net carb to the whole recipe. Can we use coconut sugar or Monk fruit or Stevia liquid instead of Swerve? You can try but they may not crisp up as much. 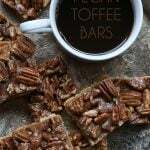 I made these to take over for Thanksgiving and even my picky youngest daughter who balks at keto LOVED them! She also refuses to eat eggs, which is how I got her to try them! Holy crap I love your recipes!! So glad she (and you!) liked them! Hi. Can these be frozen before they are cooked? Yes! the dough can be wrapped up tightly and frozen or you can freeze in balls ready to be baked. Whenever I’ve made baked goods with Swerve, the cooling taste of the erythritol puts me off. Suggestions? Do you get used to it? So the problem with sweeteners is that each of us experiences them a little differently. I do not get ANY cooling sensation from Swerve but I do from most other Erythritol sweeteners. You have to find what works for you. Combining two sweeteners often works too. Can I use Confectioners Swerve instead of the granulated? I am not entirely positive that it will result in the right texture but it it’s all you have it will still be good! Made these and they are every bit as delicious, or more, than their sugary cousins!! Everyone I gave them to, thought they were, too!! They were very surprised that they were sugar-free and agreed that they were worth making again and again!! Btw, the sugar substitute I used was Sola. From what I can tell, it works just like sugar and I really love using it. Also, the cost is comparable to Swerve. Have you had any experience with it? From what I can read on the very blurry image of the back of the package, this is really just another erythritol blend sweetener. However, if I am reading it right, it also contains maltitol, which spikes most people’s blood sugar. So it’s probably not something I would use often, if at all, if that’s the case. Yes, it is a blend that was “crafted by a trained chef, not a scientist” according to the back of the package. The ingredients are as listed in order on the package: erythritol, tagatose, maltitol, monk fruit extract, xanthan gum, stevia leaf extract, and natural flavors. I don’t have diabetes but do watch my carbs, so I’ll be switching to Swerve. I’m new to your site, but see now that you’ve written about maltitol and its effects in numerous posts. Thanks for the info on it!! The reason I like the Sola is that it has the mouth feel and depth that real sugar has, but that sucralose and stevia don’t. I was assuming that it’s the tagatose or monk fruit, but could it really be the erythritol? Does Swerve have that same mouth feel and depth to it? It’s the maltitol that gives me pause. While you may not be diabetic, if it’s spiking me, it’s causing an insulin response in most “regular” people. Now the thing about Swerve… people love it or hate it. I LOVE it because it’s one of the few sweeteners that has no aftertaste for me and it bakes like sugar. However, some people experience a strong taste with it. Every palate is different so it’s hard to know unless you test it! Made a batch with coconut oil for my daughter (vegan) very good, no problem. My wife and I love these cookies, she is Celiac. Glad they met with approval! Covered container is best so they don’t dry out too much. Can you use monk fruit packets to sweeten? I don’t know, I don’t use them or even know what brand we are talking about here. Wow!!! Wow!!! Wow!!! I came across this recipe a few weeks ago, but just filed it in my to-do-one-day recipes. I was looking for a keto pecan short bread recipe, so since the name of this recipe didn’t contain the word shortbread, I just moved on and tried another, which was tasty, but texturally disappointing. Then the other day I actually read through your recipe and the comments and realized that even though this isn’t called shortbread, it is essentially that. So I made these cookies, and was completely blown away!!! They are EXACTLY like the regular ones I used to make every Christmas!! Thank you so much for your brilliance!! I’ve now made three batches!! They don’t last long in our house. Lol!! So when I made them, I roasted the pecans at 350 for 8 minutes (check at 7 to make sure they don’t burn), and let them cool before putting them in the dough. Also, I roll the dough into a log on parchment paper, and then freeze it for 30 minutes to an hour. Then I cut them into discs. In my last batch, I was able to cut 26 cookies from the log! For anyone reading this- it is a MUST MAKE!!!! For the people whose dough was sandy, it may be the brand of coconut flour you’re using. Or perhaps you mis-measured? Or could altitude affect this somehow? So glad you liked it. Yes, they are very much like shortbread. And i’ve done the slice and bake method too. These are my go to cookies!!! BEST by far!!!! I always make a double batch because everyone loves them. I keep them in the freezer for a crisp and crunchy treat! Oh my heavens…I just made these today and they are by far one of my favorite low carb cookies. So quick and easy to make and they made the house smell incredible! Thank you so much! The only they didn’t hold together very well ? (no that I mind ) perhaps needed more time in the oven ? Or freezing the dough before baking them? Love your feedback! The taste was perfect ! You shouldn’t need any of that. If they didn’t hold together well, it makes me think your almond flour was too coarse. They came out perfect and since it was snowing here on the Arizona desert, where it seldom snows, I got busy and whipped up a batch. They were so simple to throw together and bake. They are awesome!! Just like the snow!! I’ll be looking at the pictures I took today, when our Summer temperatures are in the 110 degrees F. in June.. Thank you, thank you, thank you!! 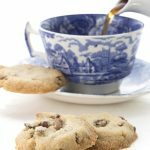 These are the best low carb cookies I’ve ever tasted! 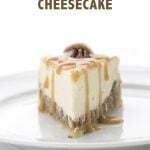 I know I’ll be making these on a regular basis because my hubby loves having something sweet!! needed to watch them a little closer, one batch got a little too brown, but my hubby liked them too! The recipe was so easy to put together and I loved that it used ingredients that I keep on hand now! I also made mine with powered and it turned out great…. MY new favorite cookie!!! I made these today 3-24-19 and used lemon extract instead of vanilla. They came out delightful! Thank you Carolyn! These are my favorite cookie. I have to admit I subbed a bit of brown swerve hoping for the brown sugar pecan taste…not disappointed! Thank you for all your hard work Carolyn, I love your recipes. We have had amazing success with our health eating keto!! !